North Korean hackers stole South Korean military documents from South Korea that included war plans drawn up with the United States. According to South Korean lawmaker Rhee Cheol-hee, the documents were taken last September from his country’s defense ministry, although it has not commented about the hacking reports. Much of what was stolen has still not been identified, he said. "The Ministry of National Defense has yet to find out about the content of 182 gigabytes of the total (stolen) data," the lawmaker said, according to South Korean news agency Yonhap. 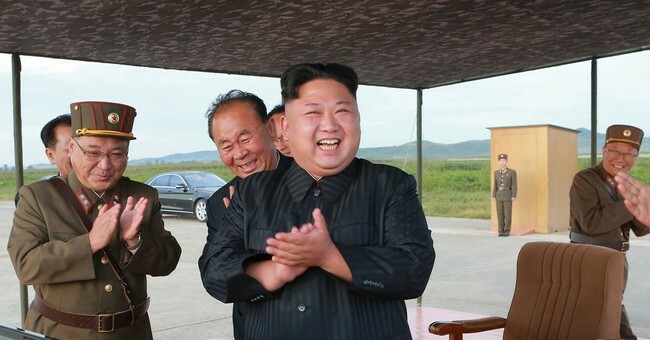 Among the documents, however, were plans to decapitate dictator Kim Jong Un, reports Newsweek. It later emerged that OPLAN 5015 includes a pre-emptive strike on the North’s nuclear and missile facilities, as well as “decapitation attacks” against Kim and the rest of the North Korean leadership. While OPLAN 5015 is seen as a blueprint for a limited war, OPLAN 3100 instead deals with Seoul’s response to possible North Korean localized provocation or commando infiltration. North Korea has denied hacking South Korea’s military documents and accused the country of “fabricating” the claims. But previous attacks have been widely reported. For example, in 2016 Reuters reported that South Korea had more than 140,000 computers at firms and government agencies in the country hacked by North Korea. Military documents were among the files stolen.